Constructed in 1908, Lutherville Colored School No. 24 is a simple two-room schoolhouse located on School Lane. 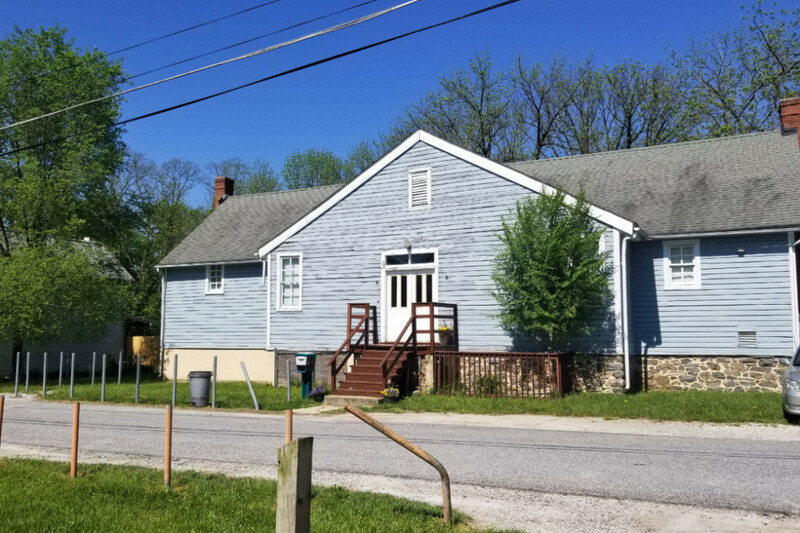 Today, the building operates as a small museum of Maryland’s Black history and the appropriately named School Lane is a dead-end street located just a short distance away from a large highway interchange. From 1909 when the school first opened up until 1955, Black students enrolled in grades one through seven walked from nearby homes on Railroad and Seminary Avenues. Students came from Texas, Beaver Dam, Cockeysville, Riderwood, Ruxton, Brightside and Bare Hills, for their first seven years of education in Baltimore County’s racially segregated public schools. The first three grades met in one room while, grades four through seven met in the second, larger room of the school. One teacher, Ms. Bea, taught the first three grades and two others, Mrs. Ross and Mr. Harris, taught grades four through seven. But the Lutherville school, like segregated schools throughout Baltimore and Maryland, was not only segregated but also inadequately funded. The county school board paid Black teachers and administrators, including principal Roland Harris (who later served in World War II) and Mrs. Arabella Ross (who replaced Harris as principal), less than white teachers and administrators doing the same work. The school couldn’t afford updated teaching materials. The building lacked bathrooms forcing students and staff to rely on an outhouse year-round. Without enough space for social activities inside the school, extracurricular activities took place at the nearby Edgewood United Methodist Church. In the early twentieth century, Black students graduating from the Lutherville school had few options to continue their education beyond seventh grade. In 1926, the county government operated six high schools for White students but offered no public high school for Black students. Black households in the county could send their children to Douglass High School in the city but were required to pay transportation costs and tuition totaling over $150 a year. Fifty students paid the fees and made the trip that year but, in 1927, the county instituted an examination for Black students that cut the number of eligible students down to just twelve. Black parents pushed back immediately with over three hundred people joining a rally organized by the County-Wide Parent-Teacher Association of Baltimore County held in Towson—but the discriminatory policy persisted. The construction of the county’s first Black high school in Towson (named after George Washington Carver) in 1939 provided a closer option but some students continued to take the test and pay out-of-district tuition to attend Booker T. Washington Junior High and Frederick Douglass High School in west Baltimore. Lutherville Colored School closed in 1955 and the county officially desegregated public schools in 1956, allowing Black students in Lutherville to attend the historically white Lutherville Elementary on York Road. In 1994, Arthur and Helen Chapman purchased the property and converted it into a museum that continues to occupy the building today. Gabrielle Clark, “Lutherville Colored School No. 24,” Explore Baltimore Heritage, accessed April 23, 2019, https://explore.baltimoreheritage.org/items/show/649. E.H.T. Traceries. “Lutherville African American Survey District (BA-3085).” Maryland Inventory of Historic Properties Form. Crownsville, MD: Maryland Historical Trust, March 1, 2003. E.H.T. Traceries. “Carver High School (BA-1075).” Maryland Inventory of Historic Properties Form. Crownsville, MD: Maryland Historical Trust, November 20, 2001. Lutherville Colored School files on school history and students, William S. Adams Collection, Historical Society of Baltimore County Collection. Published on Jun 13, 2018. Last updated on Nov 27, 2018.